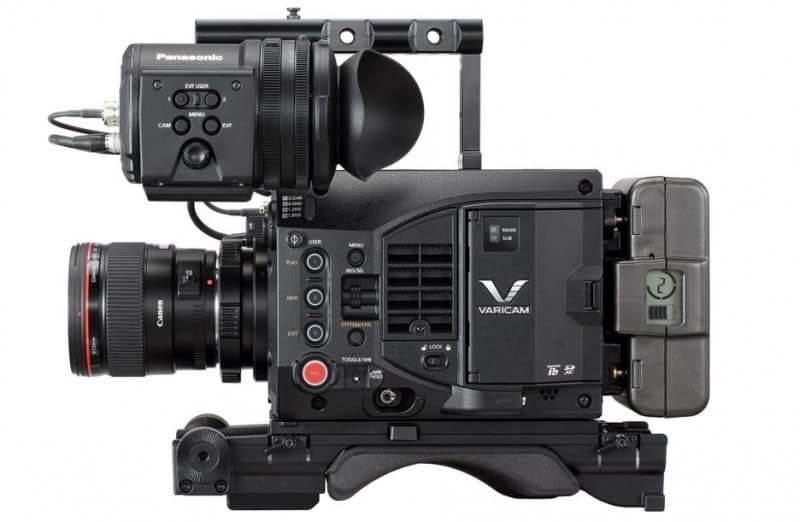 Panasonic introduced its latest addition to their cinema camera line, the Varicam LT. It offers the same picture quality specifications as that of its older brother, the Varicam 35 cinema camera but with a lighter weight, more compact magnesium body and yes, a more affordable price! What sets the VariCam LT apart from its predecessor though is the addition of EF lens mount which provides greater flexibility when choosing a wide array of lenses. 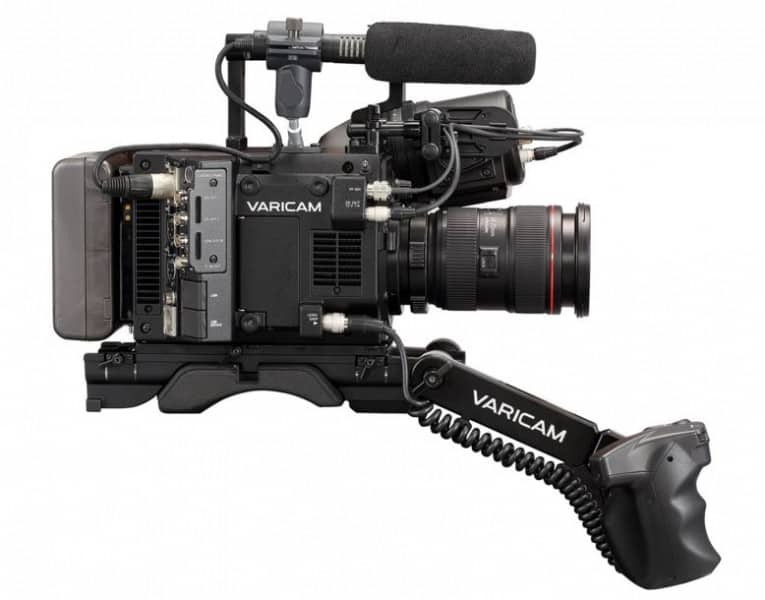 Let’s get to know more about the new Panasonic VariCam LT.
Those who own a VariCam 35 or at least follow news about camcorders will immediately notice that the VariCam LT is smaller and lighter than the older version. This is good news for those who lug around their camcorder the entire day and are looking for something that’s lightweight and won’t take up a lot of space. Despite their difference in size and weight, the two camcorders virtually have the same imaging capabilities. The VariCam LT has the same imager as the VariCam 35 — a Super 35mm sensor — which gives it the capability to shoot high-quality 4K videos. It can record videos in HD, 2K, 4K, and 4K UHD formats and supports Apple ProRes 444 and ProRes 422 HQ, which complement the camcorder’s powerful sensor and gives you excellent raw materials to work with when editing. Not surprisingly, the VariCam LT supports Panasonic’s own codecs, the AVC-Intra LT and AVC-Intra 2K-LT, which are designed to capture images at 240 frames per second. The VariCam LT comes with dual native ISO settings of 800 and 5000. The latter allows it to record excellent videos even in low light, making it perfect for those who have to shoot scenes in dark areas or at night. It also has an SD slot that supports high-res proxy capture as well as the capability to wirelessly transfer proxies to FTP servers. As mentioned above, one of the biggest benefits of the VariCam LT is its compact, lightweight body. It’s light enough to be attached to a jib, a crane, a gimbal, or even a drone, making it highly versatile and useful in a wide range of shooting situations. Its durable magnesium body, meanwhile, ensures that it can withstand rough situations and stay in good shape for a long time. Unlike the VariCam 35 (which has a PL mount), the VariCam LT comes with an EF mount that accommodates many types of lenses that are normally attached to smaller camcorders. The best thing about this EF mount is that users can manually switch it to an PL mount when they need to, further expanding the VariCam LT’s lens range. The biggest drawback about the Panasonic VariCam LT is its price. Yes, it’s cheaper than the VariCam 35 at $18,000 for only the camera body and at $24,000 for the camera body plus an AU-VCVF10G viewfinder, but it can still be a bit pricey for those who have a limited budget. 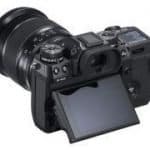 Aside from the price of the camcorder itself, users may also have to spend almost $5,000 on a couple of 256GB memory cards plus a card reader, further racking up the costs. Still, for those who only want the best equipment, the price shouldn’t be a big deal considering that they’re getting an excellent camcorder in return. The Panasonic VariCam LT may not be the cheapest camcorder out there. But, with its compact size, lightweight and durable body, and powerful features, it’s a great investment for both amateur and professional videographers and filmmakers. 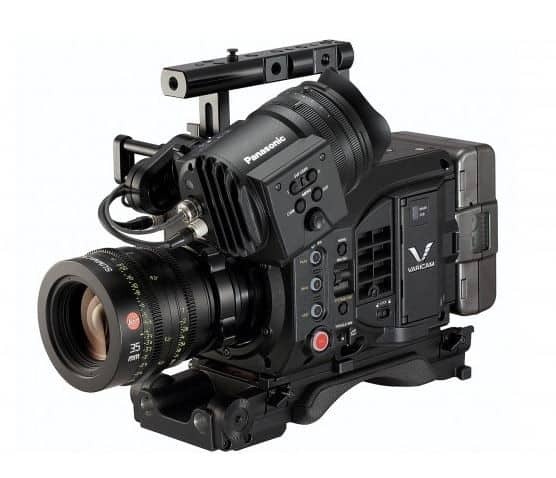 The VariCam LT will be available at the end of March. *2: ProRes is licensed from Apple Inc. Apple ProRes codec is from Atomos under license. Atomos is trademark and copyright of Atomos Global Pty. Ltd.